So here’s the thing, the solar gods and I, we don’t really hang out. It’s not that I don’t like them or anything. They’re just a little hard for me to be around for very long. If I am being totally honest, I find that they can be exhausting. It’s hard for me to put a lot of trust in them. You will find me in the shady spots, if you find me outside at all. And if I seem distracted, it is only because of the heat. Or can you hear their voices as well? The spirits in those leafy places will whisper to you of growth and decay in a single breath. They are the watchers and the secret keepers. Tricksters, travelers, rogues, and royalty, and the world was theirs only a few short weeks ago. But now the ashes of the Beltane fires have scattered in the breeze. The solar gods are strutting about in all their majesty, and the gods of shade and shadow must withdraw to the underbrush, biding their time through the long season, until Autumn brings them out again to roam and rule in the turning of the year. But for now, the earth is cool here, beneath the branches. Join us, if you like, should you grow bored of those lazy hazy crazy days of summer. Robins arrived this morning, and they came by the hundreds. I heard them before I woke, a cacophony of chirping song, seeping into my dreams, drawing me steadily toward wakefulness. When I stepped out of the door and into the backyard they were sweeping too and fro from tree to ground and back again, foraging for breakfast. Breakfast…, just the thought of it had my stomach rumbling. But rather than turning back toward the kitchen, I made my way down the steps, and sat crosslegged on the landing, facing out into the yard, and watched the airborne circus for just a bit. This, I should point out, is a change. Up until two days ago, I’d been avoiding the backyard altogether. Oh, I’d set a bowl out for the cat, but then it was right back inside. And it has been that way for months, truth be told. One of the things that drew me to purchase this particular house was the great oak tree which stood at the center of the backyard, itself surrounded on all sides by a thick canopy of overhanging limbs. This yard was a secluded haven which quieted the surrounding neighborhood bustle, while speaking in a voice all its own. If you have followed this blog for any length of time, you may remember that the character of this sanctuary has changed dramatically in the intervening years. The central oak died some two and a half years ago now. In May of 2014, I wrote in the first of these Sacred Space posts, about my intention to incorporate the remains of that great tree into a shrine or small temple, in an effort to win back the spiritual center of the yard which was lost when the tree finally died. A year later, with only the most rudimentary plans in place, calamity struck. Due to my own failed stewardship, the yard had become overgrown and a major cutback was demanded by the city. The aftermath was, and still is, hard for me to look at. My secluded haven was no more. Worse yet was the wounded feeling of the land beneath my feet. I’ve always been one to feel the deeper currents of a place, but the voices I’d become so accustomed to were gone, replaced by something more like a cringing animal, withdrawing from any contact for fear of further hurts. And even as I tried to sooth the insult to the spirits of that place, one of my neighbors began hassling me, demanding that I cut down the rest of the trees which ran along our fence line. Claiming that they posed a danger of falling into her yard, and that they were interfering with the new privacy fence she wished to erect on her side of our chainlink boundary. When I demurred, said neighbor arranged to have someone cut two of those trees down without my approval, reaching over our common fence to cut down two healthy trees on my side of the property line, and leaving the toppled remains stretched out across my yard. When I discovered this, I shoved them back over the fence, along with an angry note explaining that any further trespass would lead to legal action. Words were bandied about, and a long stalemate has ensued. And so I’ve avoided the backyard. Partly to avoid further conflict with the neighbors. But mostly because it still hurts to see it and feel it in this condition. I thought it would be better at night, when I couldn’t see all the damage, but it’s actually worse. The same neighbor with whom I have been in conflict, apparently believes in 24/7 illumination of every square inch of her yard. There are no less than seven security lights illuminating an area barely a tenth of an acre in size, and with the brush and trees so throughly cleared away, my former sanctuary is, by night, awash in a halogen glare. It hasn’t felt like my yard at all. Which brings us to Friday afternoon. It was an unseasonably warm and sunny day, and I’d forced myself out into the yard to do some cleanup work. Just hauling some branches, leftover from the great purge, into a new pile a little farther from the house, and hanging up a couple new bird feeders I’d bought. Old habits die hard, I guess, because in the midst of these chores, I found myself wandering out into the greater yard. I circled past the ramshackle gardening shed, past the trunk of the dead oak, and into the area beyond, now vacant of overgrowth…, or any growth really. I circled back toward the house, intent on finishing with the brush pile, but just as quickly I was drawn back out into the back third of my property again. And so I allowed myself to be drawn, circling round and round, drawn in new directions by new currents, until finally I was brought to a stop in what I believe must be the new spiritual center of the yard. Almost eight yards ahead of me stood the great tree trunk where the center had stood, but in my minds eye I could see the sculpture of the horned god which will stand there, cloaked with ivy, rising up from the center of a spiral which curls around him and then outward, passing under my feet and away to the right and left to become two more spirals, one surrounding a fountain, the other…, a kiln? The design of the temple space which has eluded me for almost two years came suddenly to mind and just as clear as day. 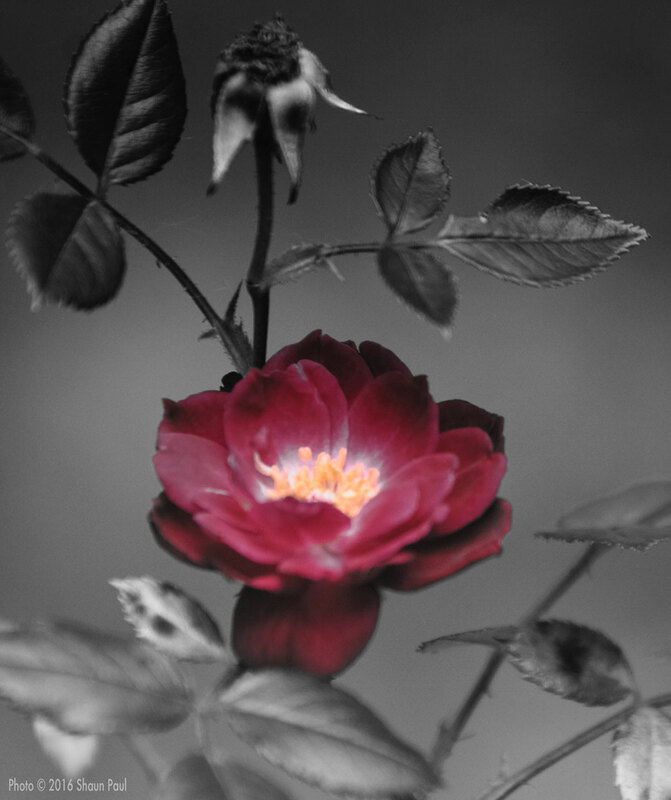 It was like a watching a flower bloom suddenly from the ashes of some terrible fire. And for the first time in months I was excited to be in my backyard again. Saturday, saw more cutting and sawing, moving and piling, but done with my (our?) purpose in mind, and with permission of the local spirits both asked and granted. And then on Sunday morning the robins came and the yard seemed to be truly alive again for the first time in a long stretch of days. This is the ninth post in this series, following my off-again on-again progress in the planning and construction of a small temple space on my property. If you with to follow along, you may see other posts in this series by clicking here. There are those among us who will always seek out the sacred. We look for signs of it in our lives, in the comings and goings, the twists and turns of daily existence. Often, if we are attentive and open, we might catch just a glimpse. More rare yet are those occasions when we might see or feel something truly extraordinary. Yet however fleeting or profound the experience, invariably it makes us yearn for still more. We are a species seeking connection, to each other, to the world, and to the spirit within and around us. For every wall and fence we erect, we engineer new ways to connect ourselves to people and places that seem otherwise out of reach. And so, when seeking communion with those things of the spirit realm that seem furthest from our grasp, we re-engineer the world around us. We build sacred spaces. These are the churches and temples, the shrines and burial grounds, where the human community has shaped the land in such a way as to being the spiritual world within mortal reach. In some cases, we seek to house the gods, and in others, the goal is to lift ourselves a little closer to whatever realm they inhabit. But there are, of course, other places to seek out encounters of the spirit. These are sacred spaces of a different nature. Or, more to the point, within nature. There are forests and cliffs, canyons and mountains, which I have visited, in which I have felt the earth beneath my feet vibrating, coursing with the same sort of energy I have felt in certain circles of stone and lofty cathedrals. This energy is raw, untamed, but focused by the shape of the land, by the rivers and the rain, and by the winds that sculpt the rock. I have felt that energy. I have tapped into it, used it to steady me in high places when I might otherwise have fallen. At certain times, I have seen within in that earthy pulse, a momentary glimpse of the divine. We are a species seeking connection. And sometimes that search leads us underground. I have explored several caves in my life, more than most perhaps, but far fewer than some of the hard-core cavers I know. I have walked among vast glimmering cathedrals of stone, and crawled between buried shelves of rock narrow enough that a lungful of air would close the gap between myself and the ceiling above. Touristy showpieces, pitch black lava-tubes, and dripping-breathing-living caverns in seven states and the Republic of Ireland have known my careful step. 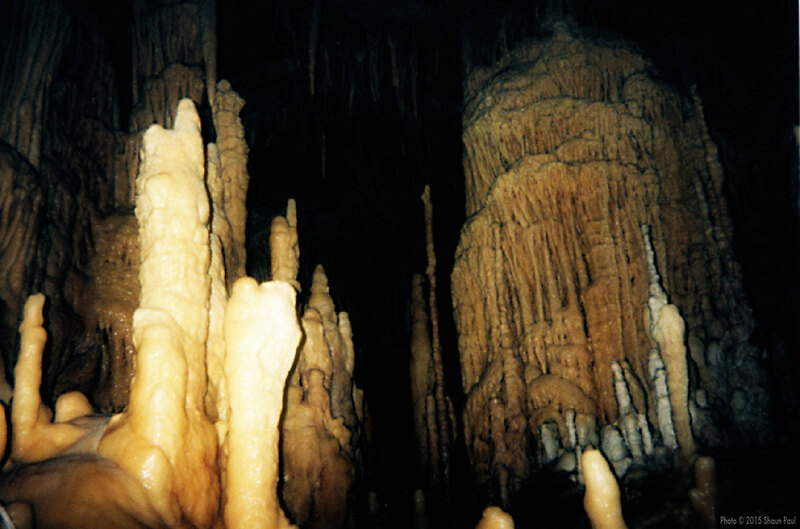 Footprints in the Darkness: the rule in caving, whenever possible, is to leave no trace. Standing underground, in the darkest dark it is possible to know, with earth both above and below, I have reached out to feel the ebb and flow of energy that surrounds us in those places. And, as with the surface world, I have discovered that our results may vary. In some places the pulse of the living earth seems strong almost beyond measure, while in others it exists as but a hesitant trickle. Still, if you have been in a cave, particularly in a living one where the stone is still flowing with the steady passing of millennia, and if you have reached out with any part of your deeper self, then you know what it is to wander (wonder?) in such a place. 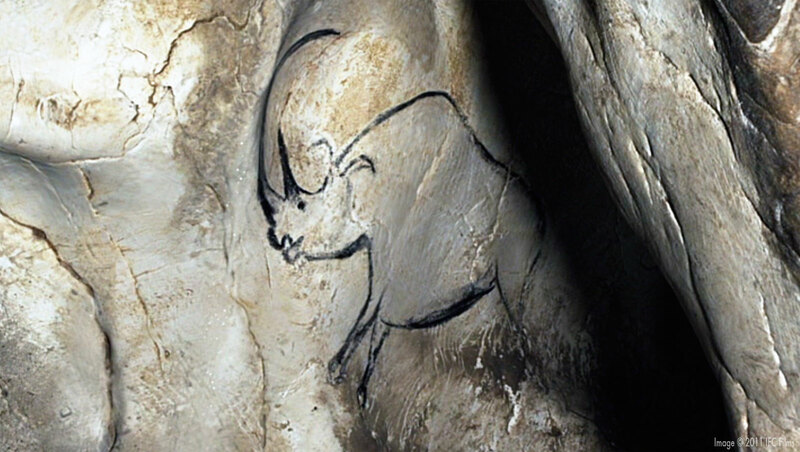 If you know that feeling, and if you can reach back and bring those sensations into the present, then I suggest that you watch Werner Herzog’s ‘Cave of Forgotten Dreams’ – a 2011 documentary concerned with the exploration of Chauvet Cave in France. 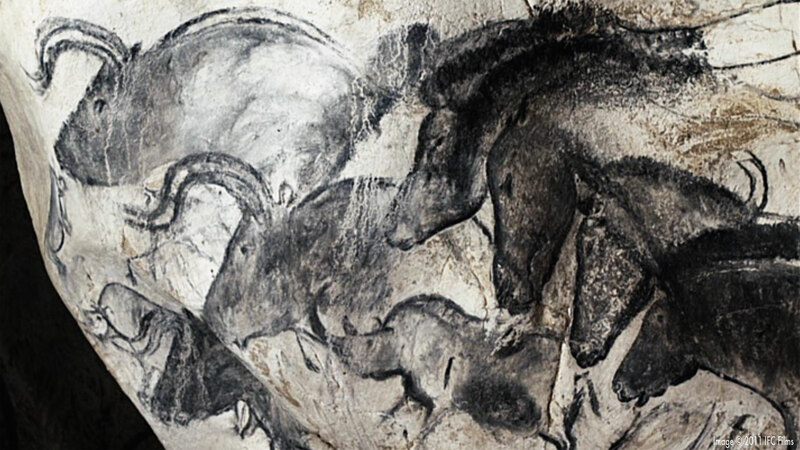 The paintings in that cavern, drawn by paleolithic men some 30,000-year ago, are as powerful a bridge between the worlds of human, animal and spirit, as any I can imagine. Look at the great sweeping horn on this beast. This is not a depiction of something merely seen. The artist renders for us the very spirit of the being! 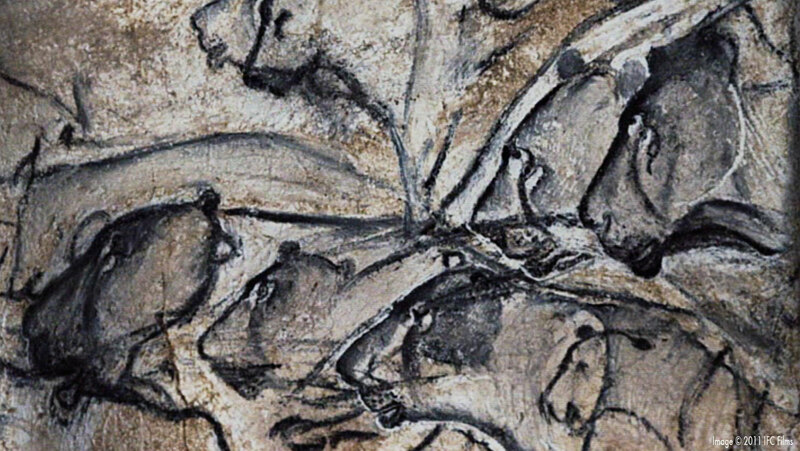 The scientists in the film remind us that we cannot truly know what purpose the drawings served, or what people were doing in that cave so very long before the written word. Yet, even as they caution us against flights of fancy, these men of science wax poetic about their personal experiences in the cave and the perception we have, of so called ‘primitive’ peoples, who knew no hard lines between the spiritual and the physical world in which they walked and hunted. An entire pride of Cave Lions, extinct since the Ice Age, is made immortal in the stone. And there are tantalizing glimpses of things we moderns can easily recognize as religious or spiritual in nature. There is the positioning of a cave-bear skull on an altar-like platform of rock, facing the distant entrance, and the grouping of so many of the drawings around an natural font of water – a natural melding of the elements not dissimilar to the holy wells found throughout the Celtic world. These things provide us with touchstones, however tenuous, to a people whom might otherwise seem lost to history. Blessed Epona, look at the horses! Where have I seen them before? These things also tell us that the spirits that walked among these people, are not really so different from those that we seek out, if indeed there is any difference at all. In a forbidden recess of the cave, there’s a footprint of an eight-year-old boy next to the footprint of a wolf. Did a hungry wolf stalk the boy? Or did they walk together as friends? Or were their tracks made thousands of years apart? We’ll never know. We dig down into the deepest places in search of answers and are often left with greater mysteries still. The quest for the sacred, like any other endeavor, may be as much about the pursuit as it is the objective. Which, I suppose, means I’ll have to find the time to explore more caves. This is the eighth post in a series following my progress in the planning and construction of a small temple space on my property, along with contemplations about what exactly Sacred Space actually means. If you wish to follow along with my progress you may see other posts in this series by clicking here. It has been almost exactly twelve years since I moved into my little house in Fort Worth. I had been house hunting, off and on, for about a year, when I found it. In that time I had driven my realtor to distraction, turning away from one house after another that seemed to meet the qualifications I had listed for her, but did not appeal to me on some deeper level. There were always practical reasons, of course: I didn’t like the street, the roof looked like it might need a re-shingling, unsightly cracks in the walkways around the house. One place even had carpeting in the kitchen! Who does that?! The truth is, I fully expected that any place I bought would require some vigorous remodeling, and any of those blemishes could have been dealt with in good time. These were the “practical” excuses, which I could express out loud, in leu of the real reason for all these rejections…, none of these houses spoke to me. At one point, I nearly put a deposit down on a house a few blocks away from where I currently live. I stopped myself at the last minute, when I realized that I was doing it because I was upset with myself for being unable to settle on something, and because I could feel the exasperation coming off of my realtor in waves. I don’t like being an unreasonable person, and it WAS a perfectly serviceable little house, with a nice big porch and very tall ceilings. Did I mention the carpeting in the kitchen? Well sure, I could have torn the carpeting out and put in some nice tile, but that seemed like a lot of work for a house that didn’t have anything to say for itself. So I gave it a pass. So, back to the real-estate listings I went, and almost right away I spotted this cute little white house that hadn’t been there on my previous searches. The price was right and the square footage looked good, but I almost didn’t call because I was afraid it might be another dud. Sure enough, there were some cracks over a few of the interior doorways, along with wretched blue carpeting (replete with cigarette burns), and a ghastly drop-ceiling in the den (converted garage). On the other hand, I liked the odd layout of the place, the 1950’s style kitchen was charming, and the street seemed quiet and friendly. Then, we stepped through the back door and into the yard beyond and I was sold. The entire thing was enclosed within a leafy canopy. Oak, hackberry, and mesquite trees arched from either side of the yard creating a shady avenue, at the center of which stood a massive oak. No matter where I walked in that yard, I couldn’t pull my eyes away from that tree for long. We wandered back inside, to give the house another walkthrough, and I noticed how the bedroom and kitchen windows both gave excellent views of the backyard and the dominate tree at its center. The tree, the yard, the house…, they spoke to me, and all the little problems that would have caused me to keep looking, had it been any other house, became projects that I would get to eventually. Needless to say, I bought the house. I’ve spent a lot of the intervening years dealing with maintenance problems and remodeling projects that never seem to end. I’ve just spent the last two weeks away from work, trying to get caught up on some of those projects and frankly, I am bone-tired. There have been moments when I’ve regretted buying this place, when it seems to fight my maintenance efforts with every fiber of it’s woody frame and I imagine just walking away and calling it done. I tell myself that every homeowner has such moments, now and then. Eventually, after the house and I have spent a few days glaring silently at each other from our respective corners, we come to a suitable accommodation. I roam from corner to corner, looking not at walls and ceiling but at potential character. Day becomes night, the world grows dark and cool, and I can hear that deep old voice speaking to me again. When I hear that voice, I am often moved to wander the backyard, feeling the ebb and flow of the ground beneath me, and making my way out to that great oak in the center of the yard. I stand there, near its trunk, and I stare up into the dark cloud spreading above me. 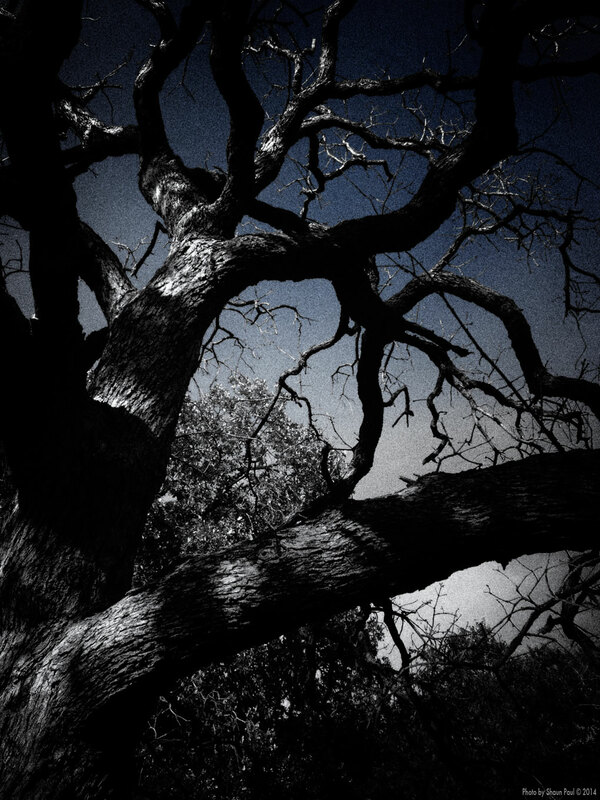 Now there are only barren branches and the darkened sky above. The tree died last year. I’d watched it diminishing for the last five years. They were little changes at first: greater than normal scarring in the bark, a thinning in the shape of the leaves, less fullness in the density of the overarching canopy. I’d spent enough time under that tree to know when it wasn’t feeling well. It was the spiritual center of my property, after all. It was the heart of my sacred space. And it was finished off, in the end, by long drought and a hard winter. After that, I was afraid that I wouldn’t be able to hear the land at all. The voice is still there, of course, only muted and unfocused. The landscape has changed and the center cannot hold. So now we come to it. Throughout the years, my sacred spaces have always been ones that I found, usually, but not always, in some expression of the natural environment. On the other hand, in my travels I have encountered many places that have been ‘made’ sacred by the mind and hand of men, places where the energy and voice of the land have been focused into an almost tangible force. How is this achieved, and can it be done in a place that has lost a vital element in the spiritual equation that made it powerful in the first place? My goal it to build a small temple space around the trunk of that perished oak. I will cut away the limbs, strip away the bark, and shape the wood underneath. I hope that the roots that still lie there can be used to draw that space back into focus. It’s a major undertaking, both physically and otherwise, and the exact form and functionality of the space, still elude me. Oh, and I have no working time frame. There are projects inside the house that demand my attention in both time and resources. The ‘Sacred Space’ project is one that will be long in coming but never, I think, far from my thoughts. In the coming months I will be visiting various other spaces, and re-examining those I have visited already. I want to see what I can learn from them, how they were built, how they exist within the landscape, and how I can apply those things to the shrine I will eventually build in my backyard. Along the way, I intend to do a lot of “thinking out loud” and I’ll be doing that thinking here with a series of blog posts labeled ‘Sacred Space’. You can probably expect one of these to show up every month or so. I hope you don’t mind. And if anyone has any suggestions or ideas on the topic, I would love to hear them. Please, comment away. Can we build sacred space? Maybe so, but dreamers have been known to build some pretty incredible things. Her fist shot out suddenly, whipping away from her in a horizontal arc, pivoting rapidly along a suddenly outthrust elbow, until her knuckles struck the glass window with a sound not entirely unlike that of a gunshot. I stood looking down at her, arrested in my forward movement by her sudden and entirely unexpected action, and by the resulting bang, so loud against the surrounding hum of muzak and chatting shoppers. I’d been walking through one of those big-box pet supply stores, a basket of feline edibles held easily in one hand, on my way to the cash-wrap, and from there to whatever other errands awaited me. I’d given no conscious thought to the two old women in the aisle ahead of me, only what it took for my brain to navigate a course between them while instructing my mouth to deliver the “excuse me” which is common courtesy. I had only managed the preliminary smile and the beginnings of a nod, when the one to my right, the one who was not busy studying a display of bagged dog chow, flung her closed hand against the glass beside her – hard. And that was when I stopped. I watched as she pulled her bony little fist back, folding it against her chest with her right hand protectively around it, almost in the manner of prayer. 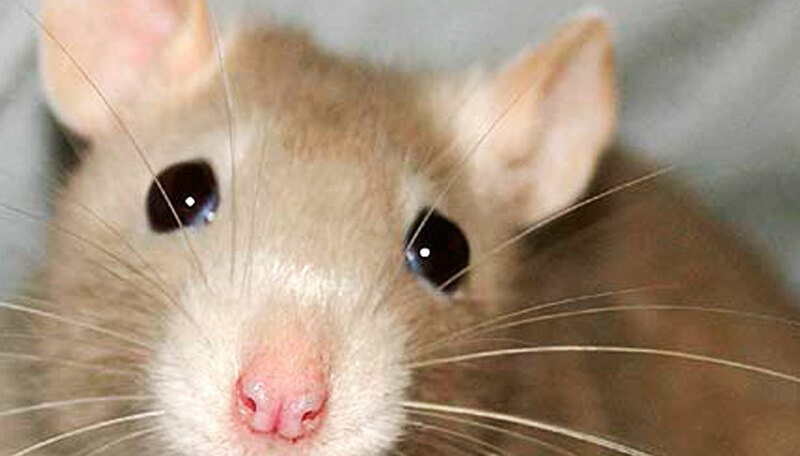 I glanced at the glass display window she had struck, and through it, at the two domesticated rats resting in a pile of shavings, one with brown and white markings, and the other a light tan color, bright eyes looking back through the glass at us. Only moments before she had seemed to be just another grey-haired lady in a blue sweater. Someone’s sweet old grandmother perhaps, just out with a friend, running errands and enjoying the day. Now she was revealed as the worst kind of bully, and I have little tolerance for that sort. Had I lingered even a moment longer, I would surely have lost my temper. I wanted to scold her, to publicly humiliate her, to lash out at her and frighten her, the way she had tried to frighten two little creatures who care only to nibble and play. I am not one to give in so easily to anger, but in the darkest forests of my mind, the Big Bad Wolf had swallowed down little red riding hood’s sickly grandmother, in a few large bites. She’d certainly left an unsavory knot in ‘my’ stomach. So how have we come to find ourselves in a world where grandmothers menace, without provocation, animals which are tame, caged, and completely at our mercy? 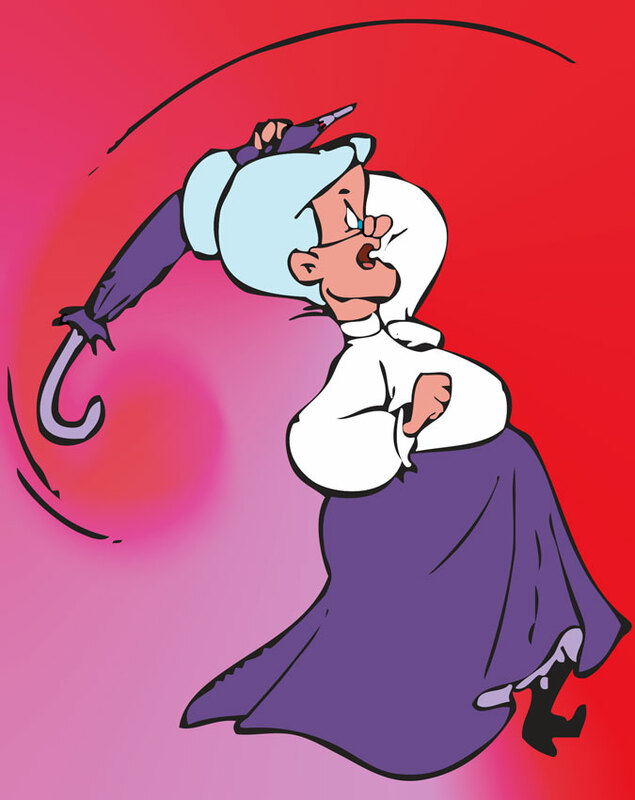 Did the glorification of cartoon violence on television somehow convince the elderly that it was okay to bash pets with brooms and umbrella handles? I think it goes back much further than Saturday morning cartoons. I think it started when we decided we were better. No, I apologize, I am being unclear. We are not “better” or “superior” than the animals, but are to be understood as altogether different, and not counted among the animals at all, at least according to the dominant mythology of the western world. And the animals, well…, they are mere “things,” placed here, for our use, for our consumption and amusement. So then, by that ‘logic’, it should be fine to threaten some domesticated rodent in a glass box. It hasn’t got real feelings and it hasn’t got an immortal soul. And even if that particular rat wasn’t carrying the plague, there must be one somewhere, out of immediate reach, that is. Filthy – Disgusting – Thing! I feel that I must clarify, at this juncture – I am no Vegan. Animals die to feed and clothe me. Some few, I have killed myself, when I thought it necessary. Where possible, I consume only the meat of animals I know to have been raised and slaughtered in an ethical fashion. I do this because I think there is more than enough unnecessary suffering in the world, and because, quite frankly, I think the meat tastes better when it comes from an animal that did not die in terror. You should also know that, in addition to being a polytheist, I am an animist. I believe deeply, that everything has, according to its nature, thoughts and feelings and a spiritual substance of its own. Does this make me a hypocrite in your eyes? Is the person who moves knowingly through life, taking what he must, and honoring the lives that are sacrificed for his own survival, is that person better or worse than one who barrels unthinkingly through the world, giving not a second of consideration to those who have fallen that he may survive? An interesting question, but let us consider: not one man, but millions. When a person suffers from the delusion that other people are not real, that they are mere playthings to be used and disposed of, we call that person a sociopath. What then, should we call a race which carries the same delusion regarding all other forms of life? More importantly, how do we treat that condition?